Even Apple’s biggest detractors must admit that the MacBook Air is quite the machine. It’s lightweight, beautifully designed, and promises uninterrupted pleasure with a long battery life. While some critics claim it is the best laptop on the market, there are two main shortcomings: it’s significantly overpriced, and it runs a Mac operating system instead of the far superior and flexible Windows operating system. 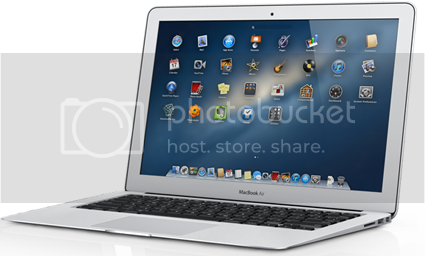 Fortunately, PC notebook makers have taken notice of Macbook Air’s popularity due to its design, portability, and attractive Windows alternatives are flooding the market. Last year, computer chip maker Intel introduced a new generation of Intel Core processors to encourage laptop manufacturers to create lightweight, powerful notebooks. With new processors and a desire to create a Windows laptop that can stand up to the MacBook Air, Ultrabooks were born. Ultrabooks are characterized as thin notebooks equipped with low-voltage processors, at least five hours of battery life, and fast boot times. Most Ultrabooks sport an expensive solid-state drive, so don’t expect to find a $500 version. Here are three of the top Ultrabooks that will make you think twice about purchasing Apple’s MacBook Air. A mere eight months ago, Asus was the first PC maker to release a credible Apple MacBook Air alternative. It sports a sturdy chassis case similar to the MacBook Air, gets the most out of the battery with Intel’s Sandy Bridge processor, and matches Apple’s best-seller in most ways except for one major flaw: a terrible trackpad. Fortunately, Asus just released the new and improved version, the Zenbook Prime UX31A and UX21A. Most importantly, it includes the new Ivy Bridge processors, an improved matte 1080p display, and a backlit keyboard. The trackpad received a full redesign, and while it is better, it still pales in comparison to the MacBook Air’s keyboard. Depending on processor choice and hardware upgrades, the Zenbook Prime will cost between $1,149 and $1,599. aqua blue finish, and excels at streaming content. The IdeaPad falls short with cheap speakers, which get distorted and have a lack of depth. The machine isn’t powerful enough for gaming and is also bulky, weighing in at 3.8 pounds. If you told any computer geek one year ago that Hewlett Packard would have one of the best laptops on the market, they would have laughed you out of the Windows store. A year ago Hewlett Packard was debating quitting the PC market for good. Now it has one of the best and most affordable Ultrabooks on the market. Throw the Folio in your backpack with the charger, and you are looking at four pounds on your back. It comes with a keyboard that can compete with even Lenovo’s. Other noticeable features include a large array of slots and ports and a solid-state drive promising speedy performance. Unlike many other powerful Ultrabooks, the HP Folio 13 has a battery up to the task. One standard test put battery life at over eight and a half hours. Again, it isn’t built for gaming and the display could be brighter, but that’s the sacrifice for a battery that can last a full day and is still portable. The HP Folio 13 is powerful, portable, and one of the best Ultrabooks on the market – especially for retailing at only $900. HP is back in the PC market in a big way, and likely to stay. Agree that Lenovo IdeaPad may be a real alternative to Apple’s MacBook. But I’m still a little suspicious of HP laptops and ultrabooks. Have they really managed to return into the game? Howard, I share your hesitation toward HP laptops. Although my coworker loves her HP Folio, I just can’t get used to the HP trackpad. The trackpad on the MacBook Air is enough to make me want to buy one. This is such an odd assertion that I am forced to look elsewhere for advice. It’s fine if you prefer one operating system to another but it is dubious if not spurious to claim that Windows is “far superior and flexible” compared to Mac OS X. Particularly with regard to Vista and Windows 7, which are not only comparatively more difficult to configure in an enterprise environment but also annoying to support. How much you guys get from Microsoft for this ‘Iraqi minister of information’ kind of statement?